8.G.2 - Congruency - Understand that a 2-dimensional figure is congruent to another if the second can be obtained from the first by a sequence of rotations, reflections and translations; given two congruent figures, describe a sequence that exhibits the congruence between them. Whenever you slide, flip, or turn a shape by performing a translation, reflection or rotation, the resulting shape will always be congruent (same size and shape) if every point is moved the exact same. Congruent angles are marked with matching arcs (curved lines) while congruent sides are marked with a matching number of "tick marks." 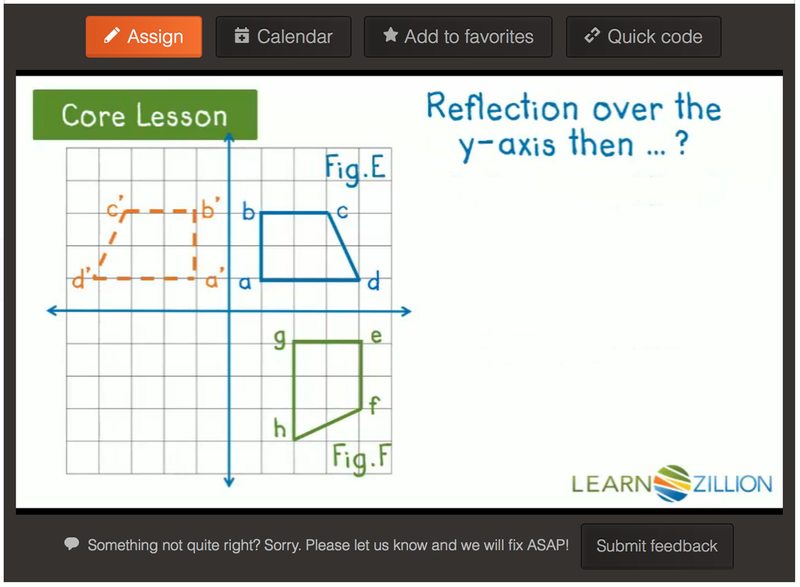 Learnzillion.com has lots of good videos to watch on this, and this is just one of them. Click on the image to go to the site and check it out. 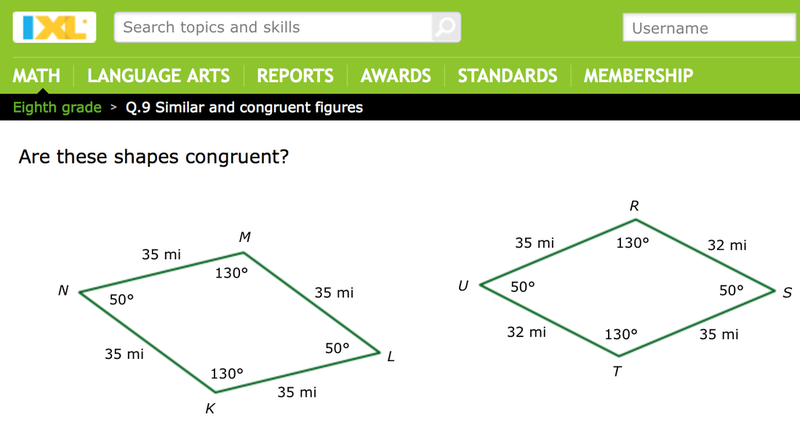 Click on this image to go to the IXL website to practice identifying congruent and similar shapes. 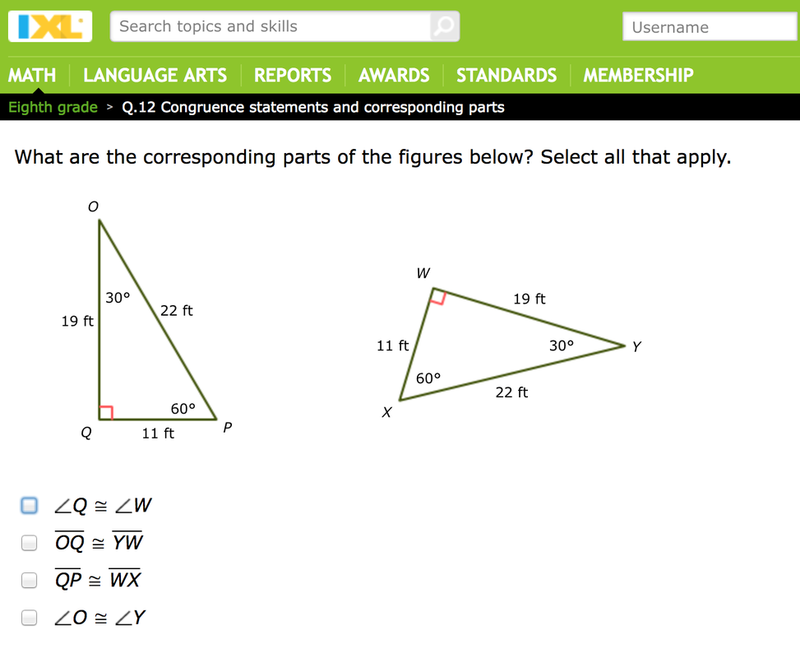 This IXL page will allow you to practice identifying the corresponding congruent parts of congruent shapes.